Canadian growers will soon have access to 61 new wheat varieties offering higher yields, better quality and improved disease resistance. This surge in wheat innovation is thanks to the Canadian National Wheat Improvement Program (Wheat Cluster) – an initiative under the federal AgriInnovation Program – Industry-led Research and Development Stream, Agri-science cluster. The total investment of more than $25 million was funded by Agriculture and Agri-Food Canada (AAFC) combined with industry contributions from the Western Grains Research Foundation (WGRF), the Alberta Wheat Commission (AWC) and the Canadian Field Crop Research Alliance (CFCRA) CFCRA partners supporting wheat research include: Atlantic Grains Council, Grain Farmers of Ontario, Producteurs de grains du Québec, and SeCan Association. 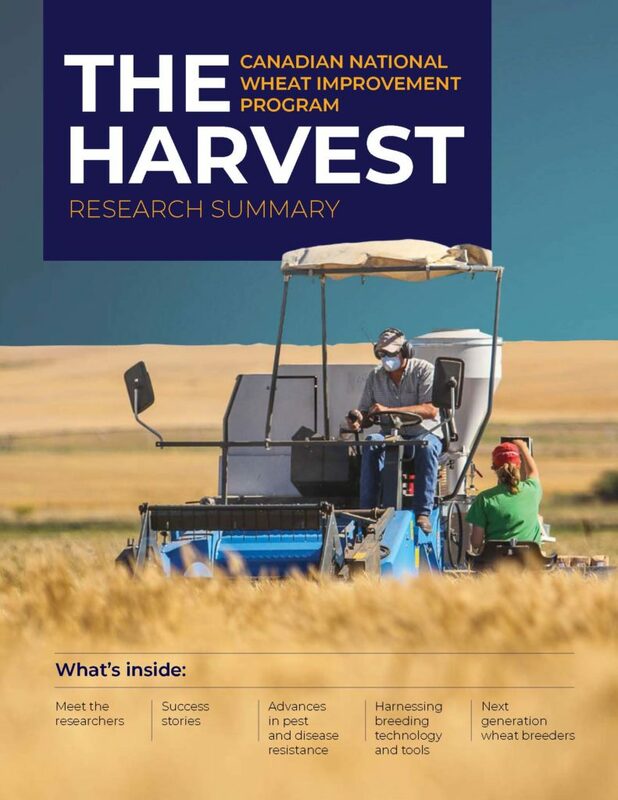 The five-year program, which wrapped up in 2018, was led and administered by WGRF who has invested almost five million dollars annually into wheat breeding research on behalf of producers in Western Canada since 1995. Le Centre de recherche sur les grains (CÉROM) in Quebec. The work done at these institutions addressed regional needs and contributed to the development of enhanced germplasm and breeding tools that increased the efficiency of all breeding programs. Ongoing and increased investment in research is needed for producers to continue to have access to the best performing wheat varieties ones that offer higher yields, stronger disease and insect resistance, and the ability to better withstand environmental conditions while meeting the strict quality standards required to address market needs. The goal of this report is to showcase the many projects and people that helped make the Wheat Cluster so successful. The wheat varieties developed through the Wheat Cluster will contribute to the continued success of producers and have an important impact on Canadian and rural economies.